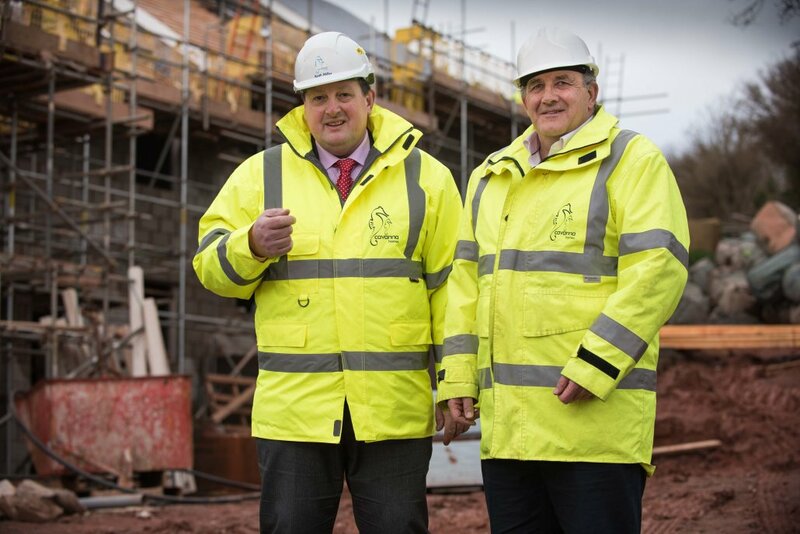 Family owned Cavanna Homes, the largest independent house builder based in the South West has marked another successful year and laid foundations for further growth ahead of its centenary year in 2023. Established in Torquay in 1923 by Philip Cavanna, the firm has been run by grandsons Jeremy, Jonathan and Martin Cavanna since the 1980s. Under their leadership, the company has grown one hundredfold, achieving recognition by the Home Builders Federation (HBF) as one of the best in the industry with five consecutive five star awards for customer satisfaction. Pre-audited year-end figures released by the company show a 13% increase in turnover, from £53.8million in 2016 to £60.8million in 2017.
pments in Devon last year, including 196 open market homes and 43 affordable homes for rent or shared ownership through housing associations. The target for 2018 is 310 homes across eight sites including new developments Baymount in Dawlish, Berryfields in Barnstaple and Yarners Mill in Dartington. 2017 also saw the start of a transition to non-executive part-time roles for the three family directors with three key appointments to the senior management team; Managing Director Keith Miller, Head of Sales and Marketing Beverley Bridge and Head of Commercial Richard Williams. While the company remains wholly owned by 52 family members, the senior management team are responsible for the day to day business operations. 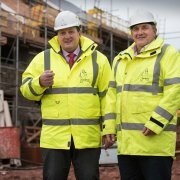 Cavanna Homes employs 109 staff from its Torquay headquarters with around 280 contractors working on eight sites across Devon, all at different stages of development. They include 504K in Plymouth, Fusion in Paignton, Primrose Hill in Torquay, Greenspire and Meadow Haze near Exeter, and Market Quarter at Holsworthy. 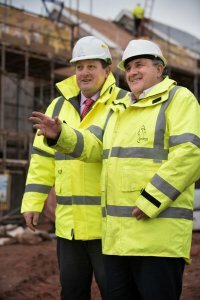 “It’s been a year of succession planning; getting the company in the best shape for its centenary year and beyond, while continuing to build high quality homes which sensitively develop our communities here in the South West,” said Cavanna Group Chairman Jeremy Cavanna. Cavanna Homes has reinforced its commitment to investing in the next generation by appointing 10 apprentices during 2018 – its highest number yet. There will be a focus on forging stronger links with schools and colleges in the region to promote the range of apprenticeships and careers in construction and homebuilding. Managers are keen to extol the wide range of career opportunities for graduates too; currently around 30 per cent of Cavanna Homes’ office-based workforce hold degrees in both vocational and non-vocational subjects. As well as maintaining the coveted 5 Star HBF Award, last year, Cavanna Homes was runner-up in the Building Safety Group’s annual National Awards which recognise its members’ commitment to health and safety: Build Manager Simon Collins was Highly Commended in the Best use of Technology Award. The company was also recognised in the Local Authority Building Control South West awards for its Origins development in Dartington which was highly commended in the category of Best High Volume New Housing Development. Last year two Cavanna Homes site managers – Paul Whitlock and Ian Crighton Brown – won awards in the National House Building Council’s (NHBC) Pride in the Job Awards.